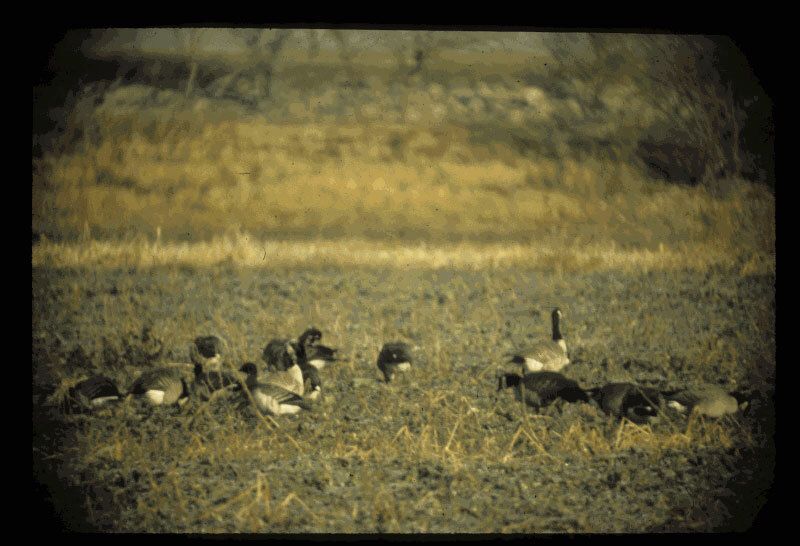 Brant - Two (1988-82, TPRF #598) of the sub-species hrota at Hagerman NWR, Grayson from 21 November 1987 until 26 January 1988 (AMac, JWi, CH). One of these birds only remained about two weeks. Brant - One was shot near Vernon, Wilbarger on 28 December 1956 (JH; 1989-240, TPRF #818). This record had previously been considered a valid record but the TBRC was able to obtain complete documentation and a photo of the mounted specimen which is now in a private collection. See Henderson (1960). Brant - One at Lake Ray Roberts, Denton, on 23 December 1996 (BF; 1997-1).